From jungle villas to grand haciendas, our Merida and Yucatan luxury villas are the perfect places to base your adventure. Let the natural beauty of the area cascade around you as you relax by a private pool or enjoy the many hi-tech amenities on offer in our vacation rentals. A dynamic fusion of colonial influences and Maya heritage makes the Yucatan Peninsula a wonderfully diverse destination. The delightful state capital is Merida, a gorgeous colonial city of traditional markets, idyllic squares, and a commercial hub.. In the wider area, visitors can explore some of the world’s best archaeological sites including New Wonder of the World, Chichen Itza. Outdoors adventures come in the form of freshwater, underground cenotes and the Sian Ka’an Biosphere Reserve, home to a diverse range of tropical wildlife. Paradise is in the white sands and blue seas of Yucatan’s Caribbean coast. Stay at one of our Merida and Yucatan luxury villas for a perfect place to unwind. HOW TO GET TO MERIDA & YUCATAN? 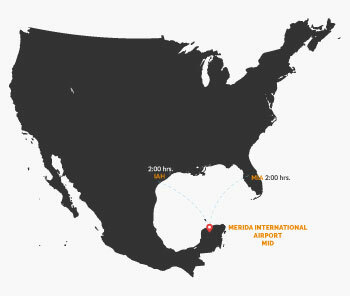 Visitors can fly into Merida International Airport, which is situated just over 10km from Merida city center. The journey should take around 20 minutes by car. IS MERIDA & YUCATAN SAFE? The US. 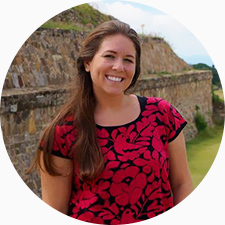 Department of State has said travel to Yucatan is okay. Additionally, many of our hotels come with their own modern safety features. Yucatan falls in the Eastern Time Zone during the spring/summer and Central Time Zone during the fall/winter. Daylight Savings is in early April and late October.